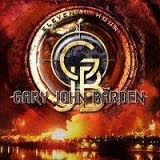 RockUnitedReviews: Gary John BARDEN: "Eleventh Hour"
Gary Barden has returned, once again inserting his middle name for his solo projects as he utilizes his downtime from MSG. He’s been floating around since Schenker gave him a break back in 1980, with plenty of people affording him a God like status ever since. These days he seems to be doing as much as possible, although the promo blurb describing this as “Hard Rock Brilliance” may be a bit premature. “Eleventh Hour” is, to be honest, pretty standard hard rock with some pretty cool tunes and some others that are a bit pants. It’s all quite bombastic, with some nice guitar and keyboard riffs and plenty of power throughout. “We Are Dead” and “Child Of Sorrow” both stomp about like petulant children, whilst “All In” is much more melodic in structure but lacks the conviction of the others. I had a bit of a surprise when I heard the Rainmakers-esque “Blackmail”, mainly because I genuinely thought Gary was singing “Black Man” (“Black Man, when you hold me in the night, Black Man, your grip is oh so tight” etc etc). Mind you, it did liven up a pretty dull song. Vocally, Barden does a good job, but he’s never been the best or worst of singers, nestling comfortably in the middle and offending no one whilst doing what he does. It’s hard to really get behind “Eleventh Hour”, as I know I won’t be playing it any more than I have to. It’s passable without being exceptional, and has some pretty good songs as well as some below par ones. I think your enjoyment of it really will depend on how much you like Gary John Barden. Me, I can take him or leave him, and the same goes for the album.